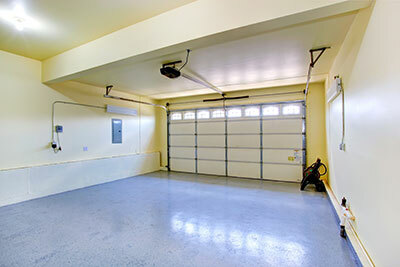 There are different innovations that have transformed the conventional garage door industry. These innovations have certainly made lives easier, more convenient and comfortable. An automatic garage door opener is one such piece of equipment that has changed the way we open and close garage doors. There are already numerous homeowners who have taken the initiative to install this device in their homes. • Conforms to the Current Safety Standards – Most automatic garage door openers that are sold in the market today conform to the current safety standards. While the government does not mandate the changing of openers into automatic ones, initiating the installation of this type of opener can ensure safety of your home and your family. • Consistent – Automatic openers are known for its consistency when it comes to their functioning. This is definitely an advantage compared to the manual openers’ functionality. • Convenience – This is another advantage of opting to install an automatic opener. Since you do not need to manually open your door, the use of automatic openers saves you time and effort. In fact, with this device, you can simply stay in your car while waiting for your garage door to open. • Security – Apart from being convenient, this addition to your garage ensures the security of your home and your family. Most automatic openers will have several additional features that can enhance its security function. Openers are now programmable with codes and can be safely operated through a personal remote. This is another advantage of installing automatic openers. Different types of opener mechanisms require different type of maintenance. There are automatic openers that need less expensive maintenance as well as basic maintenance requirements.